How Fingerprint Scanners in mobile phones Work? 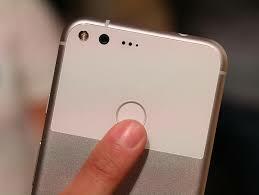 Latest smartphones like google pixel feature capacitance sensor based fingerprint scanners. Underlying technology of Fingerprint Scanners in smart phones are quite different from ordinary fingerprint sensors.Fingerprint sensors can be broadly classified into two.Optical sensors and capacitive sensors. An optical fingerprint sensor is an electronic device used to capture a digital image of the fingerprint pattern. This image is digitally processed to create a biometric template (a collection of extracted features) which is stored and used for matching.Fingerprint sensors in modern smartphones are capacitive sensors. The diagram below shows a simple capacitive finger print sensor. The sensor is an array of tiny sensing cells. Each cell has two conductor plates.Working of this sensors are similar to the working of touch sensors. Finger you are placing over the sensor will act as dielectric.When finger's ridges are placed over conductive plates, it increase the capacitance between plates, while an air gap(valley) will leave the charge at the capacitor relatively unchanged.In short the capacitor in a cell under a ridge will have a greater capacitance than the capacitor in a cell under a valley.Variation in capacitance will result in current flow.This variation is amplified by the sensing circuit.This analog signals are converted into digital signals using an ADC(Analog to Digital Converters) and required signal processing is carried out to extract the feature of a fingerprint.